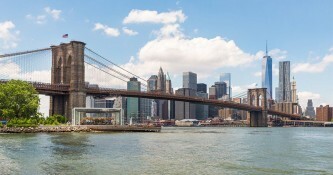 The ultimate New York sightseeing experience - purchase together and save! 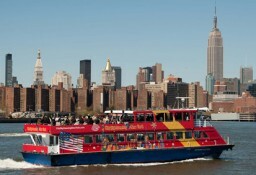 Take your NYC sightseeing adventure up a notch with an unforgettable bird’s-eye view of the magic isle of Manhattan. 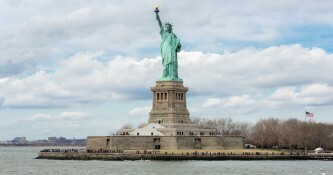 With amazing skyline views and the chance to look Lady Liberty right in the eye, this is a one-in-a-lifetime experience you don’t want to miss. 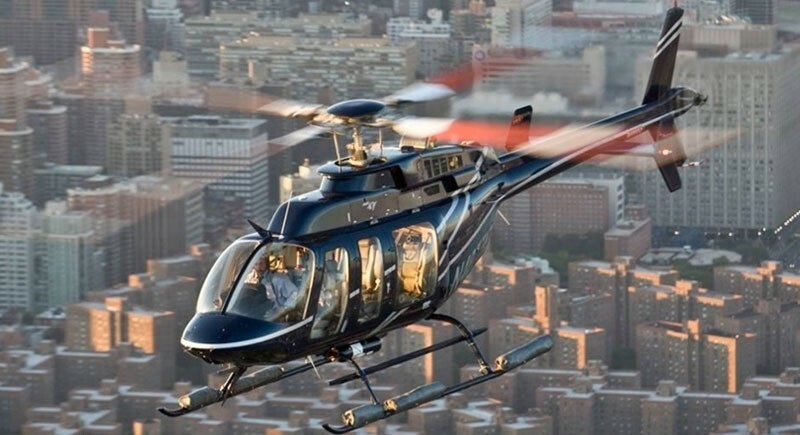 With entertaining narration from your highly experienced pilot, you’ll enjoy this 12-15 minute flight in a state of the art helicopter with high visibility windows, comfortable seats and a spacious cabin. The 3 Day Sightseeing Pass means unlimited sightseeing at more than 100 included attractions - the more you see and do, the more you save. 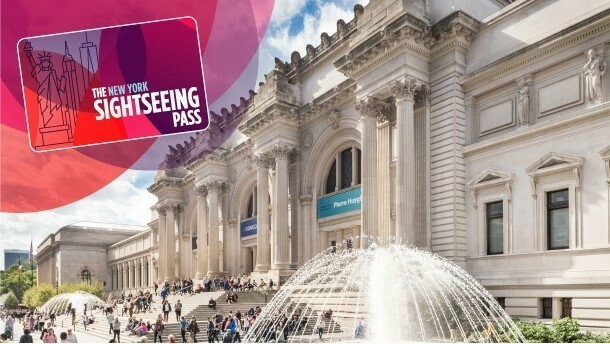 Whether you want to see museums, gardens and landmarks or take bike, bus or water cruise, you’re set to go when you choose the Sightseeing 3-Day Pass. 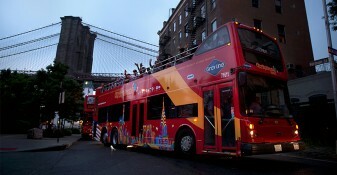 Included in this pass is a 72-hour All Around Town Bus Tour - with 3 loops covering Manhattan and Brooklyn and unlimited hop-on hop-off access at all the major sites, you’ll be able to take full advantage of the pass, squeezing as much as you want into 72 hours. 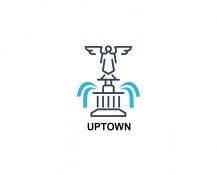 Heliport fee is already included in the purchase price. The helicopter tour does not need to be done during the 8 hours your bus tour is live - you have 14 days to do both parts of this package. 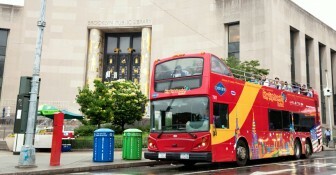 You can begin your bus tour from any designated hop-on stop on any route. Simply show the driver your mobile or printed ticket and you're on your way! Reservations are required after you complete your booking; instructions will be provided once you have completed your purchase. Please arrive 30 minutes before the schedule flight. Please remember to bring a valid government issued photo ID for boarding. *Children are free up to 2 years old. After 24 months, the passenger is require to use their own seat, and therefore must pay full service. No. When you start your order, you will have to choose the day you believe you are going to beginning your sightseeing adventure, but this is not a formal reservation. 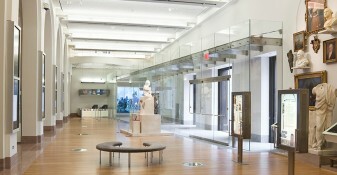 You are free to begin using your tickets anytime within one year of the date of purchase. After one year, your tickets will expire. Please note, some of our partner attractions do require reservations – please refer to the tour details for more information. Do I have to do the Helicopter Tour in the same 3 Day window I’m using the Sightseeing Pass? No! You can take up to 14 days between the Helicopter Tour and the 3 Day Sightseeing Pass. Instantly! After completing your purchase you will be automatically directed to a page with your both live pass and helicopter ticket. We will also send you an email confirmation with a link to your the ticket and pass – print it out or take a screen shot of the QR code and use your mobile phone as your ticket. How long do I have to use my pass? Your pass is activated the moment it is scanned for admission at your first attraction, bus tour or restaurant. How long do I have to use my pass? 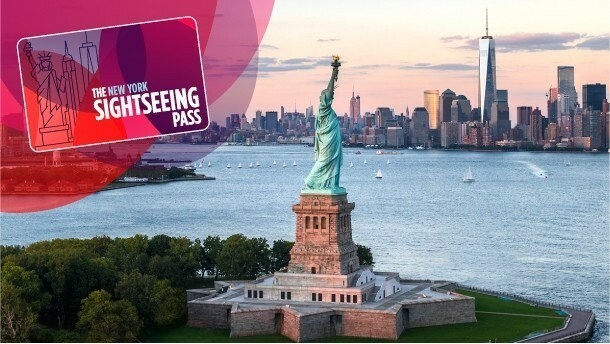 This Sightseeing Pass is passes is valid for 3 consecutive days. For example, if you begin using your pass on a Wednesday, it will be valid for Wednesday, Thursday and Friday of that week. Passes that have not been activated expire one year from the purchase date. Once activated, the pass is valid for the number of consecutive calendar days purchased an will expire on midnight of the final day of use. Are there limits on how much I an use this pass? 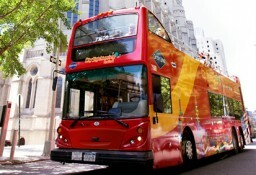 How long is the included Bus Tour valid? 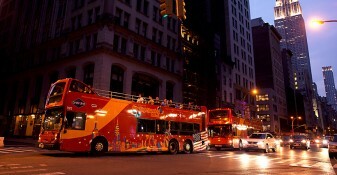 The included All Around Town bus ticket is valid for the entire 72 consecutive hours your Sightseeing Pass is valid. 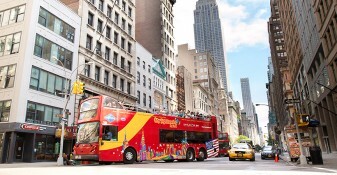 This consecutive time-frame includes all bus loops, the Night Tour, CitySightseeing Hop-on, Hop-off Ferry and the bonus museum admission choice included as part of the All Around Town Tour. Yes! 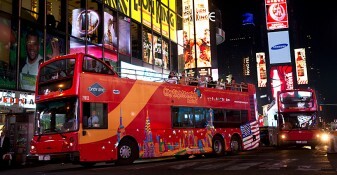 Save time with our Exclusive City Sightseeing Partnership. 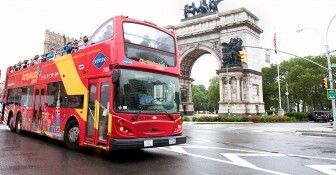 Simply take your Sightseeing Pass directly to any City Sightseeing double decker bus, scan your Pass on the bus, and start enjoying your tour instantly. Less waiting, more enjoying. Where do I start the bus tour? 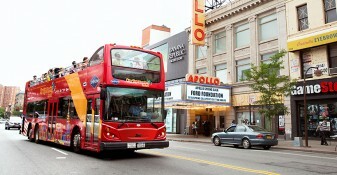 You may use your live ticket to board the bus at any designated stop along the route. To see the full list of stops, view our map. 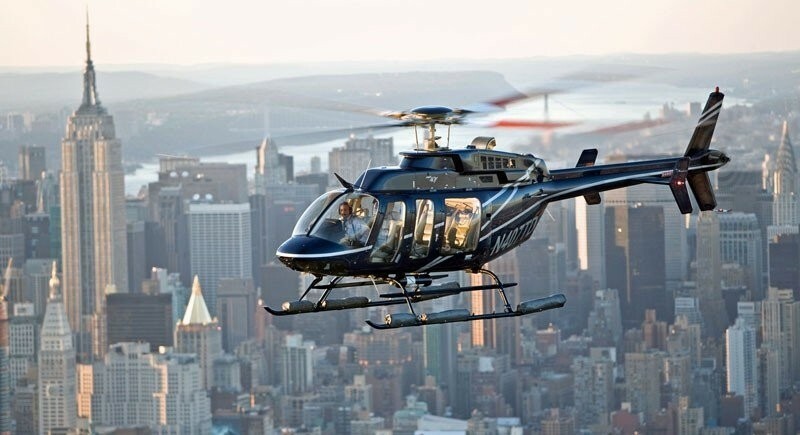 How do I use my ticket for the Helicopter Tour? Reservations are required for the helicopter tour. To reserve, call 212-355-0801 or email [email protected] at least 24-48 hours before your desired flight time. 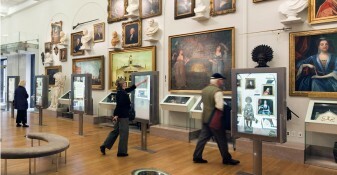 A printed copy of your ticket will be required, as as will a Government issued photo ID. A link to your ticket can be found in your order confirmation email. Will my helicopter tour be cancelled due to inclement weather? 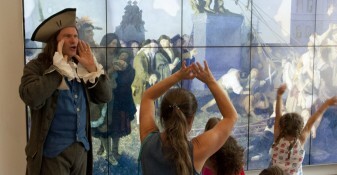 For your safety, tours may be cancelled due to bad weather. 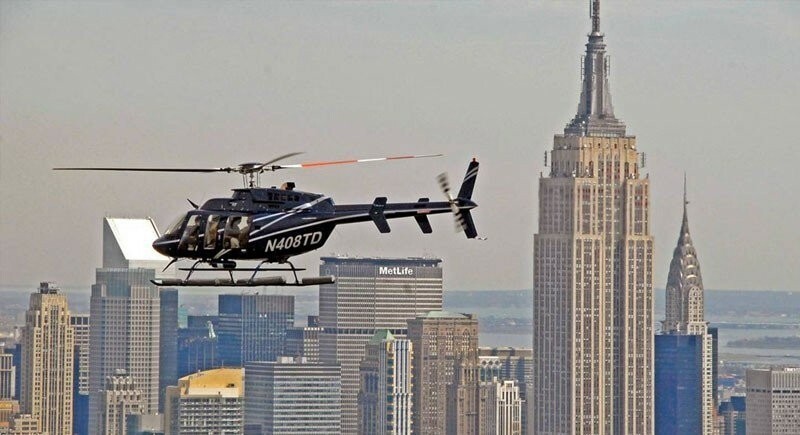 If you have any weather concerns, please contact Helicopter Flight Services, Inc. at (212) 355-0801 If your tour is cancelled due to inclement weather, Helicopter Flight Services, Inc will work with you to schedule a new date and time. What can I bring on the helicopter? You may bring your camera or recording device on board to capture the experience! All other personal belongings (including purses, scarves, backpacks, hats and all loose items) must be put in one of the secure locker provided prior to boarding.